Warfare is often used as a metaphor for firefighting with fire being the enemy and the building the ground on which we fight. 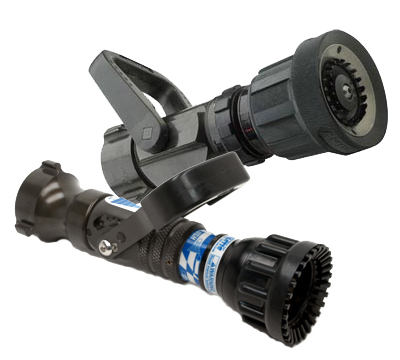 Extending warfare as a metaphor, handline nozzles are firefighters’ principle weapon in offensive firefighting operations. In the early 1940s Major General William H. Rupertus, United States Marine Corps (USMC), wrote the Rifleman’s Creed (also known as My Rifle). The creed is part of Marine doctrine that emphasizes that regardless of specialty or assignment, all Marines are riflemen. The Rifleman’s creed emphasizes the criticality of caring for and mastering the use of the Marine’s individual weapon. How many firefighters have the same commitment to care and mastery of their nozzle? All too often, firefighters consider the nozzle to be a simple device requiring little practice to master and seldom thought of until needed. Take a minute and think about the nozzle(s) that you use! 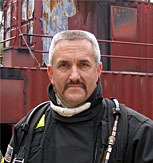 These 20 questions focus on some of the fundamental knowledge that firefighters must have if they are truly going to master their primary weapon in offensive firefighting operations. What kind of nozzle(s) are on your preconnected hoseline (combination or solid stream)? What type of nozzles are they (i.e., fixed flow, variable flow, automatic, or single tip, stacked tips)? What flow rate, rates, or range do they have? If flow rate can be varied, how is this accomplished? Does the mechanism used to change flow operate freely? If you change the flow without a corresponding change in line pressure at the pump, what happens to the nozzle pressure? What is their designed operating pressure or pressures (for dual pressure nozzles)? For combination nozzles, what is the impact of nozzle pressure on droplet size? 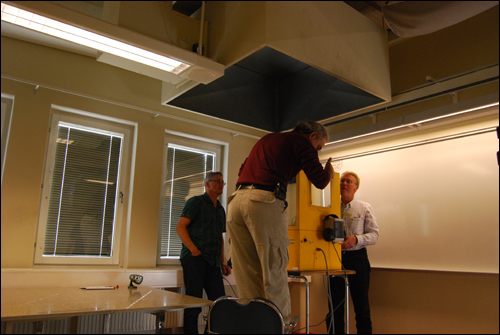 Can you operate the nozzle at more than one nozzle pressure? If a variable flow or automatic combination nozzle, does droplet size change with flow rate? Why might this be significant? What is the maximum effective reach of the nozzle? Can you flush debris from the nozzle? If so, how? What type of coupling is the nozzle equipped with (e.g., if threaded, is it National Standard Hose, Iron Pipe, or some other thread)? What type of valve is the nozzle equipped with (ball or slide valve) and what difference does it make? If it is a combination nozzle, does it have fixed or spinning teeth? Why would this matter? If the nozzle is equipped with spinning teeth, does the turbine spin freely? Do your nozzles open and close easily when under pressure? Are your nozzles clean (inside and out)? How should they be cleaned? Do your nozzles require lubrication to ensure free movement of their operating mechanism? If so, when was the last time that they were lubricated? If a combination nozzle, how to you adjust the nozzle to a wide angle fog pattern? 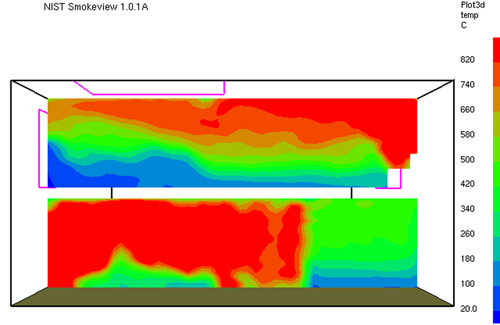 For combination nozzles, what is the maximum angle of the wide fog pattern? If a combination nozzle, how far from straight stream or wide angle fog does the pattern control need to be turned to produced a 40o (medium) fog pattern? While knowing the answers to these questions, is necessary, it alone is not sufficient. In addition to knowledge of operating characteristics and maintenance procedures, firefighters must be skilled in nozzle operation in order to be able to accurately put water where it is needed. 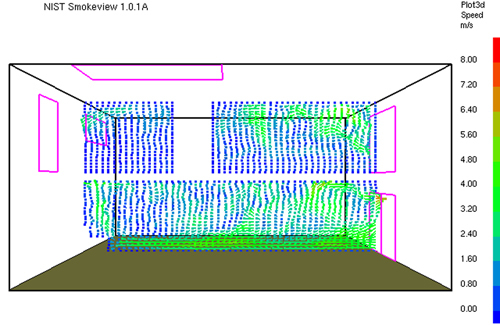 Adjust a fog pattern to the desired angle without visual reference, before opening the nozzle to check the pattern? Apply a short or long pulse of water fog so that the droplets evaporate in the hot gas layer, minimizing water contact with compartment linings (i.e. walls and ceiling)? Apply a fog pattern to fill the maximum volume of a compartment without excessive water hitting the compartment linings? Apply water gently in the form of a straight stream so that it flows onto a hot surface, maximizing cooling and minimizing runoff? 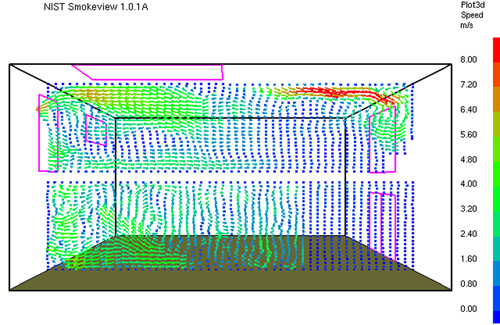 Recognize audible indicators of fire stream impact on compartment linings? 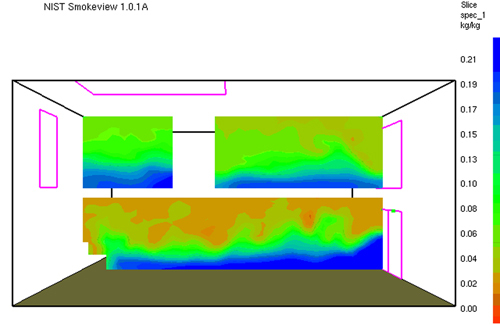 Adjust flow rate based on conditions and tactical application (i.e. 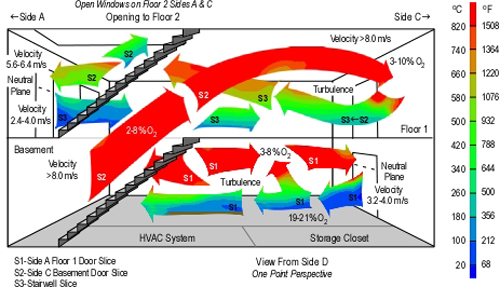 gas cooling, indirect attack, direct attack)? 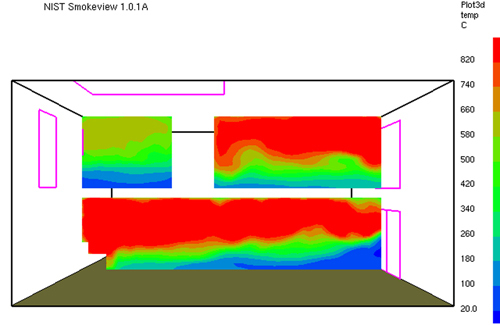 Maximize both effectiveness (in controlling the fire) and efficiency (by minimizing water use)? These questions are obviously focused on combination nozzles. If you more commonly use solid stream nozzles, ability to cool hot gases is limited by the form in which water is applied. 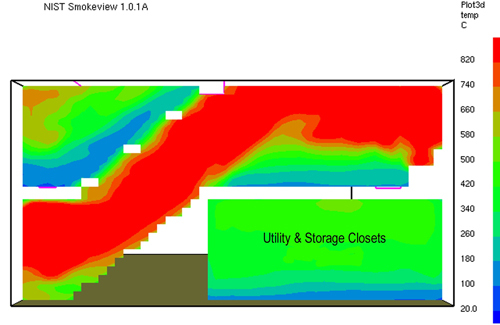 While limited in gas cooling effectiveness, what techniques can you use to have some impact on the threat presented by the hot gas layer? As with knowledge of your nozzle, these skills are necessary, but not sufficient. 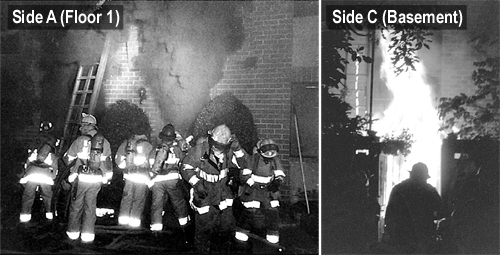 Firefighters must be able to integrate physical skill with situational awareness and team based tactical skill. 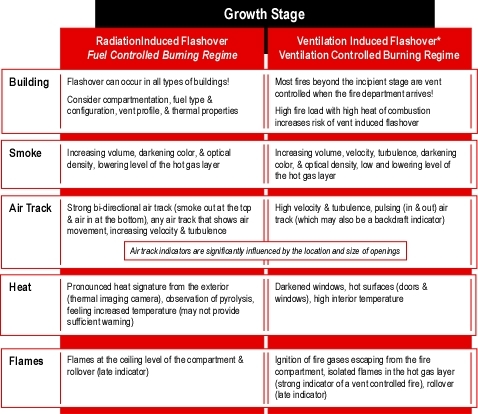 During structural firefighting operations firefighters are faced with dynamic and rapidly changing conditions in which situational awareness is critical. 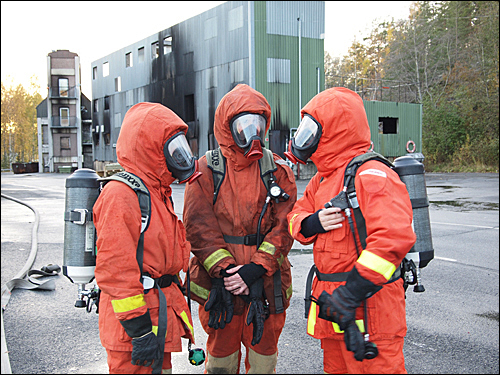 Basic skills in the use of personal protective equipment and the tools of the firefighters’ craft must have reached the autonomous stage of performance to allow focus on critical decisions and tasks. Colonel B.P. McCoy, USMC (2007) drew on Clausewitz’s wisdom in identifying combat marksmanship as a critical habit. “Anybody, even in the middle of a phobic response to the violence of combat can yank on a trigger and spray rounds in the general direction of the enemy, ‘spray and pray'” (p. 25). How many firefighters have the same response in the fire environment? “Combat marksmanship is the hallmark of the infantryman. Nothing nurtures confidence like the knowledge that one can hit what one is shooting at” (McCoy, 2007, p. 25). Firefighters require the same skill in nozzle use as Colonel McCoy’s Marines required in the use of their rifles. During offensive firefighting operations firefighters apply water for one of two purposes. 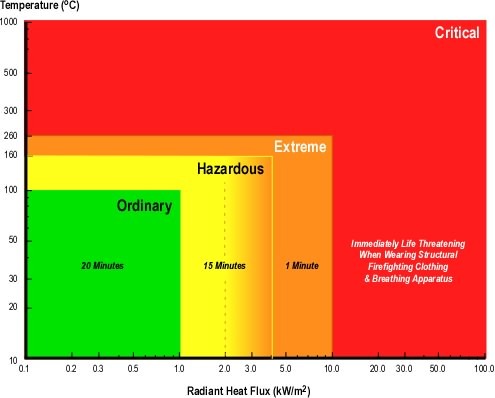 1) to cool hot gases or 2) to cool hot surfaces (Grimwood, Hartin, McDonough, & Raffel, 2005). Each of these tasks requires a different method to put water where it is needed in a form that will accomplish the intended outcome. 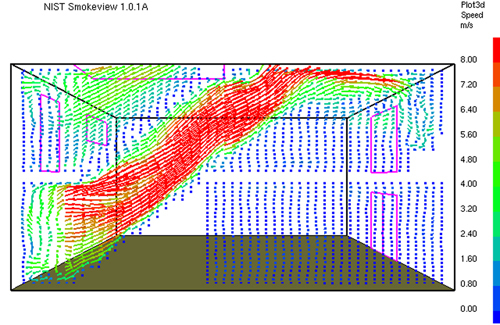 Nozzle pattern should maximize the volume of hot gases cooled. The challenge to the nozzle operator is that there is not one single approach to meeting these requirements. 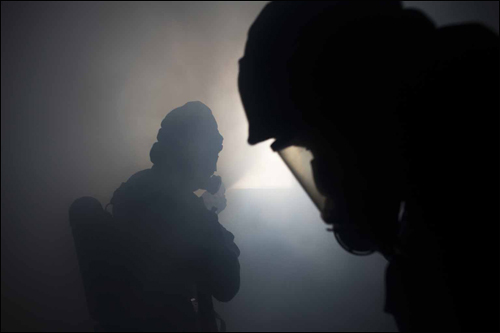 In general, smaller droplets work better than large droplets, but nozzle pattern (wide, medium, or narrow fog) is dependent on the size of the space and temperature of the flames and/or hot, unignited gases. Surface Cooling: The requirement for cooling hot surfaces is different than those required for gas cooling, but is equally simple. As with gas cooling there is not a single approach to meeting these requirements. In general, effective surface cooling requires a thin layer of water on the hot surface. If the surface is extremely hot, water application must be continued until the temperature is reduced sufficiently to slow and stop pyrolysis. Important! Water on the floor after extinguishment is completed did not do significant work. Far more energy is required for water to change phase into steam than to simply raise its temperature. Water application must be effective (in achieving fire control), but should also be efficient (in minimizing the water used and limiting fire control damage). 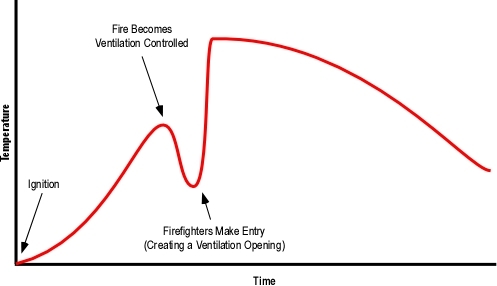 Effective and efficient fire control requires that firefighters be skilled at putting water in the right form where it is needed (in the hot gases or on hot surfaces). Development of autonomous (habitual) skill in nozzle use requires deliberate practice. This is not simply repetition of our current skills, but continuing to stretch just beyond our current abilities. Deliberate practice is designed specifically to improve sharply defined elements of performance. 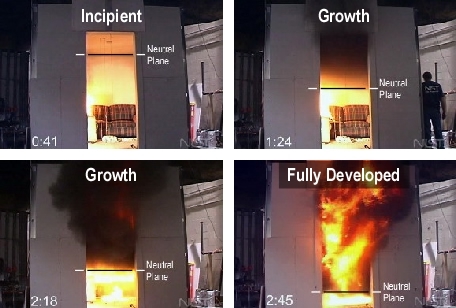 The next several posts in this series will examine how research in sport psychology regarding motor learning and performance can be used to enhance our ability to develop proficiency in nozzle use (as well as other physical firefighting skills). US Army (1992). Field manual 7-8 infantry Rifle platoon and squad. Washington, DC: Headquarters, Dept. of the Army. McCoy, B. (2007). The passion of command. Quantico, VA: The Marine Corps Association. 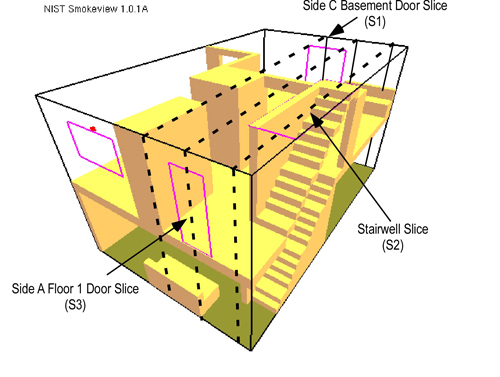 Grimwood, P., Hartin, E., McDonough, J, & Raffel, S. (2005) 3D firefighting: Training, techniques, and tactics. Stillwater, OK: Fire Protection Publications. On the morning of October 1, 2009 the Chicago Fire Department (CFD) responded to a fire in the Super Dollar and Up store at 3952 West Cermak Road. CFD Senior Fire Alarm Operator and Fire Photographer Steve Redick captured early incident operations on video. The first segment of the video was shot in the alley on Side C from the B/C Corner. 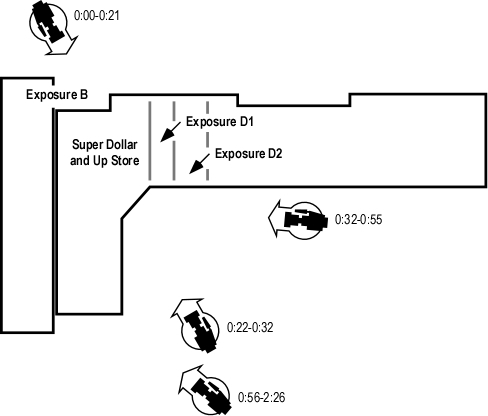 The next several minutes of video are shot from positions on Side A as indicated in Figure 1. Watch the first 60 seconds of Video Segment 1. Consider the information provided in this segment of the video clip. 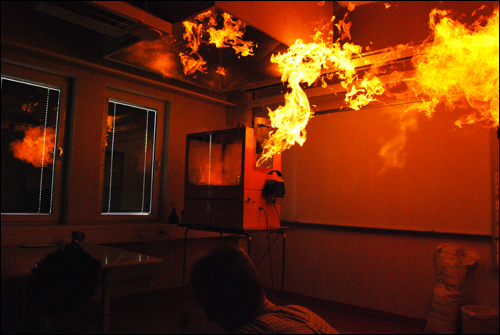 First, describe what you observe in terms of the Building, Smoke, Air Track, Heat, and Flame Indicators and then answer the following five standard questions? After completing the B-SAHF worksheet and answering the five standard questions, watch the next minute and twenty seconds of the video. Did you anticipate this change? What factors may have influenced this change in conditions? Visit Steve Redick’s Web Site for additional video and excellent photos of this incident. The rapidly changing conditions in the Chicago incident reminded me of the fire in Memphis, Tennessee that took the lives of Lieutenant Trent Kirk and Private Charles Zachary. Similar to the fire in Chicago, this incident involved a fire in a one-story, non-combustible building containing multiple commercial occupancies. As companies arrived they observed a small volume of smoke from the roof and little smoke inside the building. Approximately nine minutes after arrival conditions worsened with a large volume of smoke pushing from the doorway on Side A. Crews became disoriented as a result of rapid fire progression, and Lieutenant Kirk and Private Zachary were trapped. For additional information on this incident see NIOSH Death in the Line of Duty Report F2003-18 and Memphis Fire Department Director’s Review Board Family Dollar Store Fire report. Dollar stores and similar types of commercial occupancies should be considered as a target hazard that presents a significant threat to firefighters. These types of stores are generally in an enclosed building (good access from the front, but not generally from the other sides of the building) with high ceilings and a cockloft or other ceiling void space. 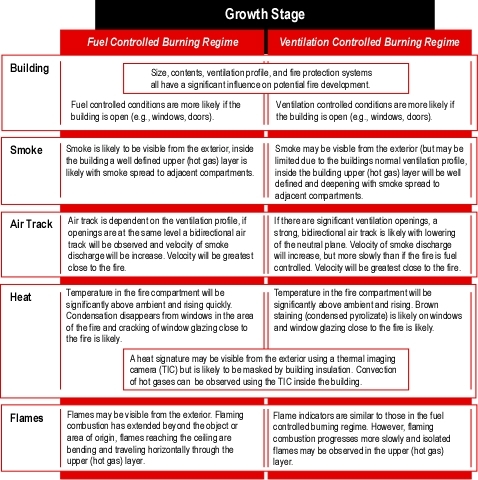 In addition, this type of store contains a large fuel load comprised predominantly of synthetic fuel with a high heat of combustion (think high energy) and potential for extremely rapid fire development. 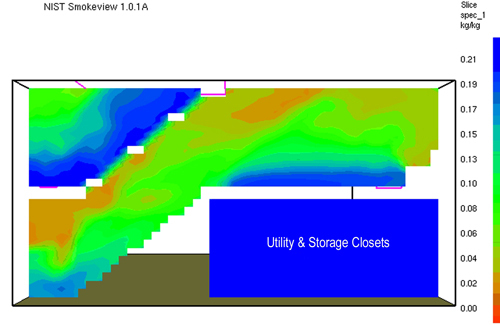 Fires in this type of occupancy are not uncommon! A quick search uncovered 15 similar incidents across the United States in the last three years (and 11 in 2009). There were likely more (as the scope of this search looked for fires in “dollar stores” and stopped after the first several hundred hits with the Google search engine). Building factors include the construction, configuration, and contents of a structure. 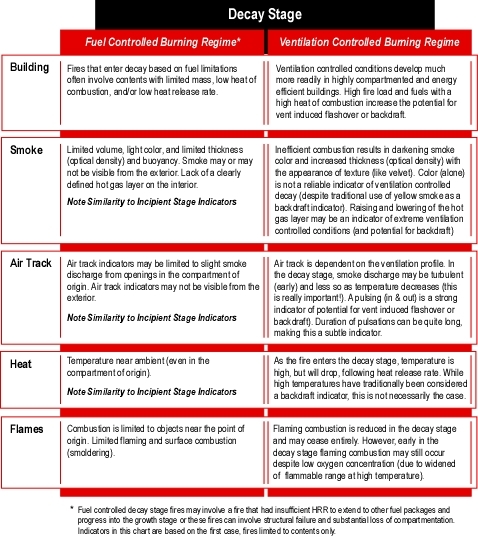 These factors are critical fire behavior indicators that must be assessed during pre-planning and in the course of size-up and incident operations. 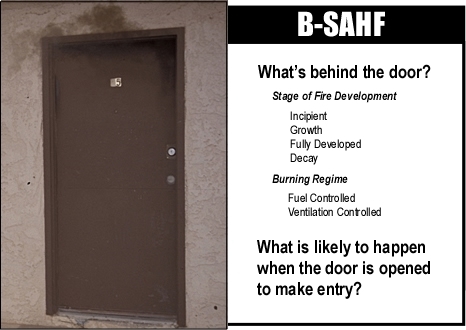 Consider how building size (particularly volume, ceiling height, and presence of ceiling, attic, or cockloft void spaces) impacts on both fire behavior and how the other B-SAHF indicators present. At first, it appeared that the firefighters would be able to get the fire under control fairly quickly, but the fire got into the attic and was difficult to locate in the thick, black smoke… The firefighters made an interior attack and tried to use thermal imaging cameras to locate the fire. However, other firefighters noticed that the roof was beginning to sag, so the order was given to evacuate the building for the safety of the firefighters. 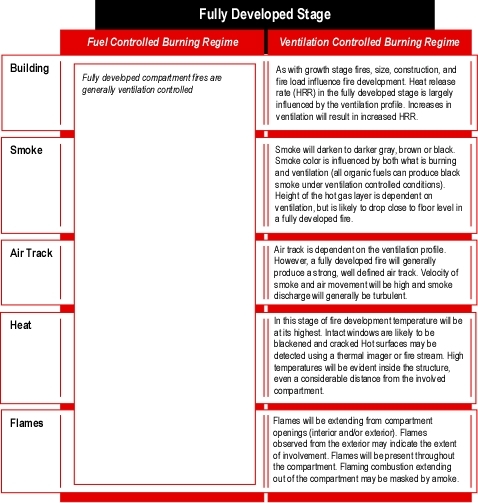 It is essential to recognize potential for worsening conditions and extreme fire behavior. 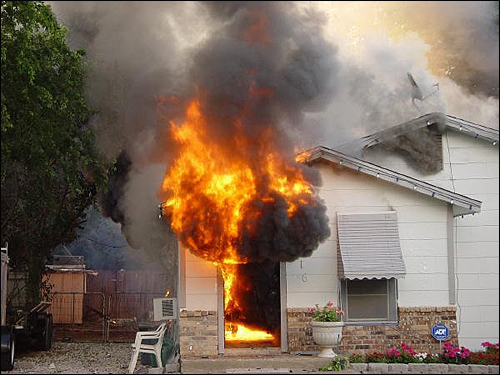 This is particularly important when faced with an incident outside the norm of fires in residential structures such as one and two-family dwellings and apartments. 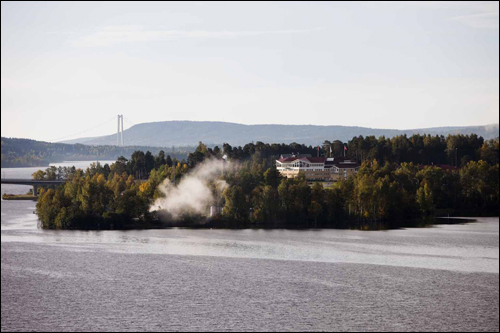 Next week I will be posting from Sand�, Sweden as 12-16 October I will be participating in a Compartment Fire Behavior Training Workshop at the Swedish Civil Contingencies Agency College. 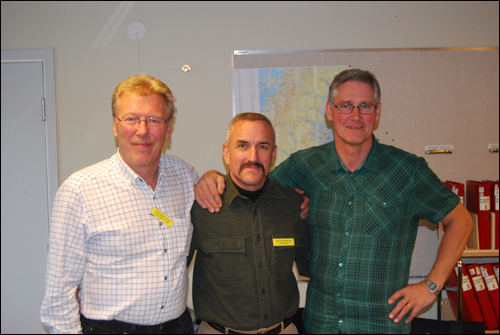 Along with representitives from Australia, Canada, Germany, and Spain, I will be studying contemporary approaches to fire behavior training as well as the evolution of Swedish fire behavior training since the 1980s. 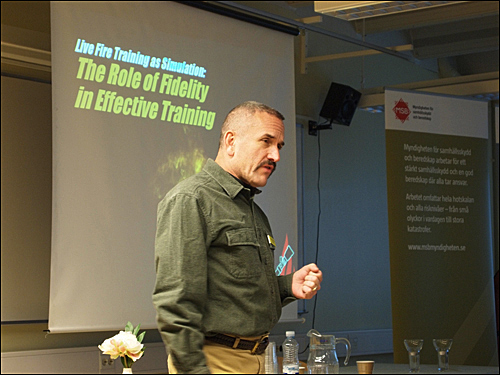 This workshop provides a tremendous opportunity to learn along with Mats Rosander, Nils Bergstr�m, and Marcos Dominguez, poneers in the evolution of fire behavior training in Sweden and around the world.